Click fraud software detects and/or protects against fraudulent clicks related to pay-per-click (PPC) advertising. These tools are used by advertisers to detect manual or automated efforts to inflate click numbers on their ads. Click fraud software gathers data with each click, such as IP address, location, device information, and more. This data is analyzed and cross-referenced with the click fraud products’ repository of fraudulent activities and devices to determine whether a click should be deemed fraudulent. Many click fraud tools offer features to immediately block any documented fraudulent clickers from seeing future ads. Within these solutions, advertisers can also access dashboards to review reporting and monitoring on threats and/or fraudulent activity. Without these tools, advertisers may not be aware of illegitimate clicks that would raise their costs to ad networks and publishers. Click fraud software can help advertisers purchasing PPC ads be more confident that their budget is going toward valid visitors, and give them evidence to mitigate any situation where click fraud is suspected. Click Fraud reviews by real, verified users. Find unbiased ratings on user satisfaction, features, and price based on the most reviews available anywhere. 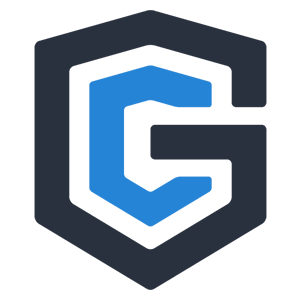 ClickGUARD is the most advanced click fraud protection software designed to stops money wasting clicks, boost campaign conversions and maximize PPC profits. More than 95% of Google Ads / AdWords clicks never convert, so you deserve better. Don't let Ad / click fraud eat up your PPC campaign budget. 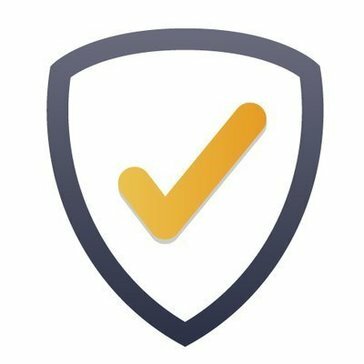 With more than 50+ highly integrated and customizable features ClickGUARD builds a firewall around your ads to detect, stops and prevent all illegitimate, invalid money wasting click fraud. ClickCease is a clickfraud detection, prevention, and protection service software. Click fraud is estimated to cost advertisers over $50 Billion by 2020, and if you run PPC campaigns this includes you. Our award winning automated software stops this immediately & protects your future campaigns. We're so confident you'll love it we offer a 30 day free trial, no questions asked. AdTector's never-sleep robot identifies and block malicious IPs based on indicators such as blacklisted IPs, user agents, device IDs, and many other factors. The AdTector Algorithm actively monitors these events and interactions 24/7/365, which helps us automatically verify and classify an anomaly traffic behavior at the speed of light. ADWARY is the click fraud solution that provides advertisers with complete visibility and protection. The specially developed methodology reliably identifies fraudulent clicks on the basis of a large number of indicators, consistently prevents fraud attempts and provides clear evidence. ClickBrainiacs.com has been working with pay per click platforms such as AdWords since 2015. ClickBrainiacs.Com is a software that completes the action started by the anti fraud filters from Google AdWords Services. Click Guardian aims to identify potential sources of click fraud and have neatly categorized these sources to help you understand who and what is committing click fraud on your Google Ads campaigns. ClickReport is a state-of-the-art PPC policing program, designed to optimize your sponsored ad budget and shed light on visitor traffic. Replete with informative reports and features, ClickReport is the only monitoring tool that gives you all this for only $29.99 per month! Clixtell is a reliable and powerful automated click fraud protection, user friendly software, enabling you to secure your Google Ads & Bing Ads budget by constantly preventing click fraud activity . FingerPrint checks clicks using our machine analysis algorithm. Separates real customers from scammers and robots who want to drain your budget. Fraudlogix is an online advertising fraud detection company founded in 2010 by industry veterans with a deep understanding of the digital ad ecosystem. It provides pre-bid fraud solutions for desktop, mobile, in-app, and video environments. It has solutions for the programmatic RTB and affiliate spaces. Fraudlogix's technology allows it to monitor data from over 540 million unique users, 1.2 billion unique devices, and millions websites monthly. It's able to map the latest devices, locations, bots, behaviors, and hacking tactics that are being used by ad fraudsters. Fraudlogix's solutions detect bots and malware, fake traffic, human-generated fraud, domain masking, viewability, and can monitor for brand safety. PPCSecure is designed for Internet Marketers, by Internet Marketers. It uses common sense and actual knowledge from the field to create our solutions. 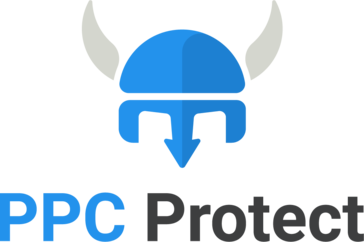 PPCSecure offers a FREE 14 day test-drive. Try BEFORE you buy. PPCSecure offers AUTOMATIC blocking of IP Addresses in AdWords. PPCSecure offers friendly, courteous, American-based service and support. PPCSecure staff has 15 years experience in the tech industry working with networks, websites, security and Internet marketing. Uses unique algorithms and digital fingerprints. Automatically collect the data through the API and block ad impressions from fraudsters. Guarantees the integrity of your information under the NDA. Comprehensive online ad fraud protection. Hi there! Can I help you find the best Click Fraud solutions?